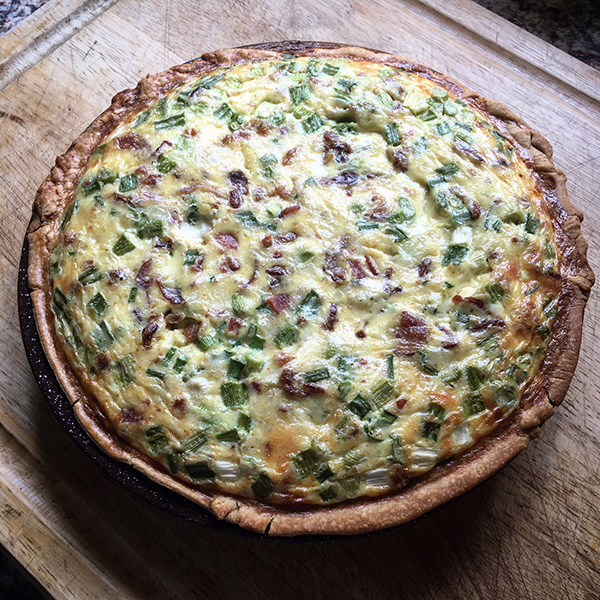 I wanted to make something that Aaron and I could have for breakfast quickly each morning, so I decided to make a quiche. Can you believe I've never made one before? It was so easy to make and it turned out delicious! All we had to do was cut a slice each morning and heat it up in the microwave. 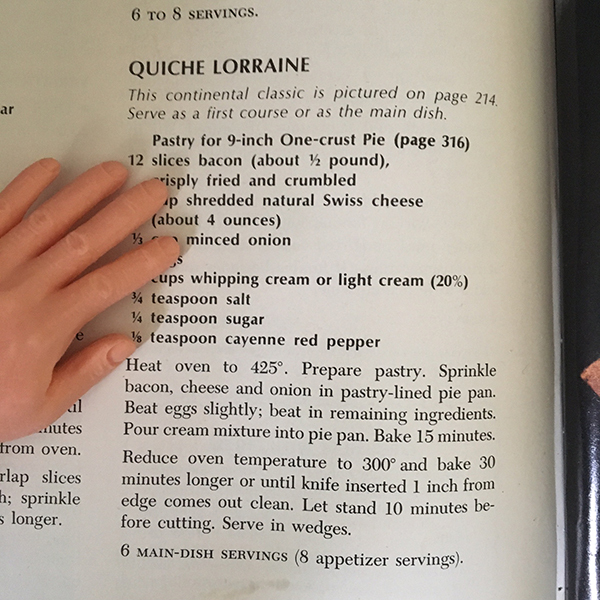 A lot of people asked what recipe I used and it's the quiche lorraine recipe out of my tried and true classic Betty Crocker cook book. Am I seeing things or is that a doll hand? Hah hah. Yup. Just goofing around.